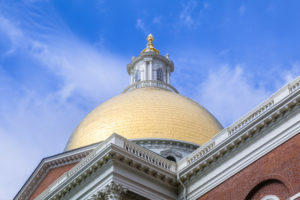 Massachusetts’ lawmakers have introduced what appear to be at least 13 virtually identical House and Senate bills seeking to expand the state’s landmark “Right to Repair” law to delineate rights for vehicle data access and control. For the purposes of this article, we’ll focus on House Bill 293, which lists Rep. Paul McMurtry, D-Dedham, as lead sponsor. With more than two dozen lawmakers in its corner, it had by far the most sponsors of either chamber as of Friday afternoon. HB 293 would only allow OEMs to require authorization to access their OBD systems if “that authorization system for access to vehicle networks and their on-board diagnostic systems is standardized across all makes and models sold in the Commonwealth and is administered by an entity unaffiliated with a manufacturer.” The method of access itself must be standardized, according to the bill. All telematics data belongs to the “motor vehicle owner,” which existing Massachusetts law already defines as the human or business that owns or leases a vehicle registered in the state. 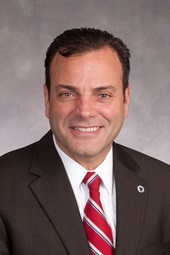 The bill also would more teeth to the penalties provision of the existing law by making OEM noncompliance punishable by that automaker being unable to sell new vehicles in the state. (i) explaining what is motor vehicle telematics, (ii) the data collected and stored by the telematic system, (iii) the capability of the consumer to access the vehicle’s telematic data through a mobile device and (iv) that an independent repairer with the permission of the consumer, can access the telematic mechanical repair information for vehicle repair purposes. The automotive aftermarket and OEMs have worked fairly well together for a while on diagnostic support and standardization, but the OEMs’ need for vehicle cybersecurity could create problems for independent repairers, an Equipment and Tool Institute leader warned shops earlier this year. OEMs appear to be developing cybersecurity measures unilaterally, and there’s “no standardization in this case event,” Potter said. Potentially dozens of diverse security protocols could hit the market. “The standardization effort we have embarked on for the last 25 years stands to be broken,” Potter said. OEMs — mostly in Europe — have also come up with an “Extended Vehicle Concept” in which all the data surrounding the vehicle is considered their domain, according to Potter. They will collect it on their own server and sell it back to whichever parties request it. “Of course, the aftermarket does not like” that idea, Potter said. House Bill 293 was been sent to the Joint Committee on Consumer Protection and Professional Licensure on Jan. 22. Other similar House and Senate bills have also been kicked over to the committee. Be heard: Massachusetts lawmaker information can be found here and here.